We support the vision of healthy watersheds through the implementation of LID design principles, hydromodification controls, and sustainable development throughout the Central Coast region. 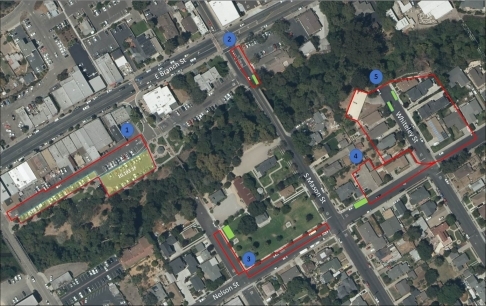 Currently, stormwater runoff from the downtown core in Arroyo Grande is directed to Arroyo Grande Creek. The Green Infrastructure concept designs show the opportunity to integrate Low Impact Development bioretention and pervious pavement to improve stormwater management and increase urban greening in the downtown area. All Stormwater Control Measures (SCMs) can manage the 85th percentile, 24-hr storm event.